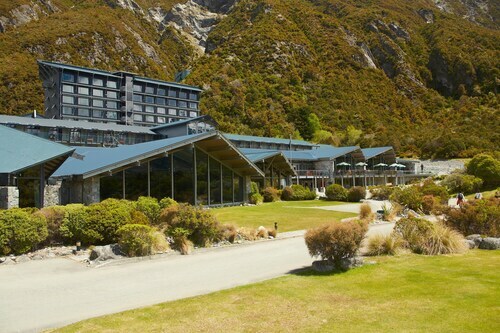 Situated in Mount Cook, this luxury hotel is within 1 mi (2 km) of Aoraki Mount Cook Visitor Center and Kea Point Walk. Tasman Lake is 5.6 mi (9 km) away. 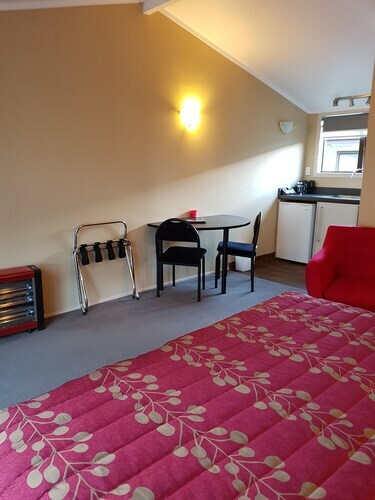 Situated near the airport, this motel is 0.5 mi (0.8 km) from Aoraki Mount Cook Visitor Center and 1.5 mi (2.4 km) from Kea Point Walk. Tasman Lake is 6.1 mi (9.9 km) away. 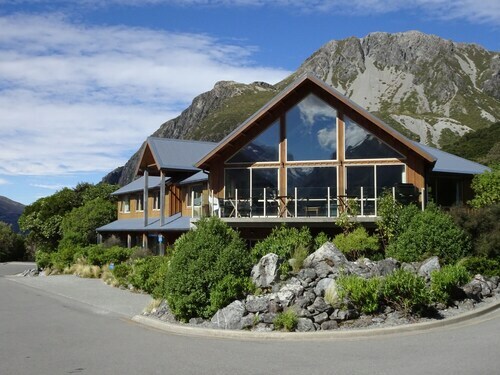 Situated in a national park, this guesthouse is within 1 mi (2 km) of Aoraki Mount Cook Visitor Center and Kea Point Walk. Tasman Lake is 5.6 mi (9.1 km) away. 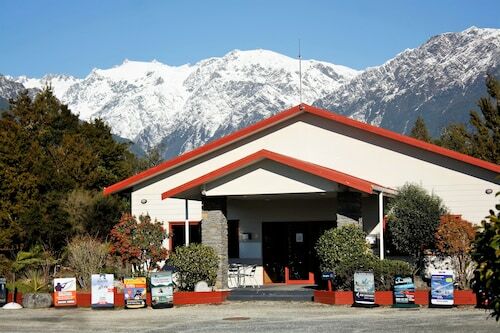 Situated in a national park, this eco-friendly hostel is 0.5 mi (0.9 km) from Aoraki Mount Cook Visitor Center and 1.5 mi (2.4 km) from Kea Point Walk. Tasman Lake is 6.1 mi (9.9 km) away. 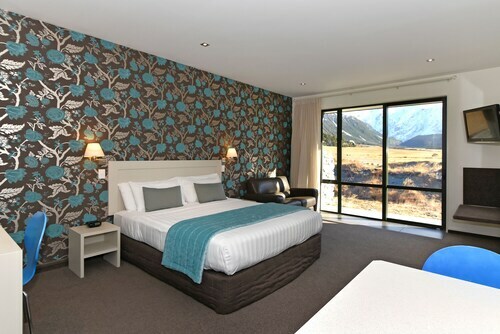 How Much is a Hotel Room in Mount Cook National Park? 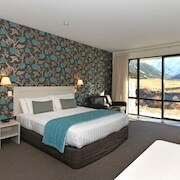 Hotels in Mount Cook National Park start at $96 per night. Prices and availability subject to change. Additional terms may apply. Pack your bags—it’s time to embark on a getaway. 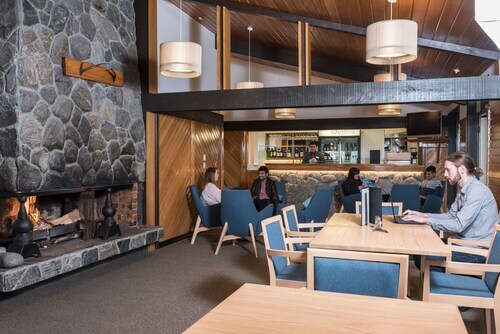 Whether you’re craving a solo retreat or promising your family a vacation to remember, book one of the best hotels in Mount Cook National Park. These hotels are located within easy access of the city’s hottest attractions and entertainment, so you won’t miss a beat while you’re in town. Spend the days exploring the local landmarks and the evenings getting to know the nightlife. After exploring the city from top to bottom, rest up at a hotel that speaks to you. Find the perfect place that matches your trip’s vibe, from a trendy boutique to family-friendly accommodations. Allow us here at Travelocity to pair you with up Mount Cook National Park hotels that suit your vacation preferences. Discover places with convenient on-site restaurants, around-the-clock service, and pools where your kids can make a splash. Some hotels may boast fitness rooms and spa services, while others feature game rooms and Wi-Fi access. To top it all off, you’ll score cheap hotels in Mount Cook National Park that let you spend more on your activities and less on your lodging. Book and bundle your flight and hotel deals together today and save up to $537. It’s time to explore a new city, and break out of your routine. 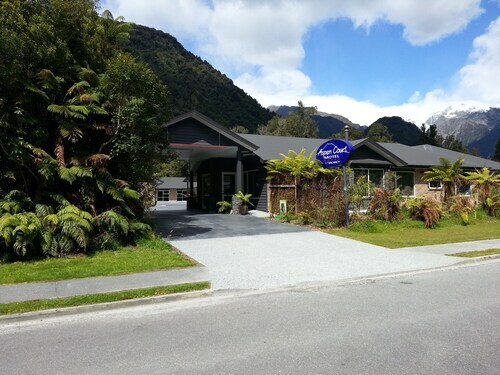 My wife and I checked in to this place during our visit to Franz Josef on our honeymoon. Our room smelled overwhelmingly awful, like bad BO or cigarettes covered up with massive amounts of Lysol/Air freshner. The front office closes early and so there was no one available to help us past 8pm (We didn’t see the fine print about after hours emergency number or something). So we ended up staying the night because we had nowhere else to go. My wife actually slept in the car half the night because she couldn’t stand the smell. When we went to go check out the next morning they refused to refund for nights not stayed. They instead tried to offer a different room, but at that point we had had enough and just needed to get out. They refused to refund the next night, so we just cut our losses and left and had to stay elsewhere for our last night in Franz Josef. Not a great experience, would not recommend it or ever stay here again. The staff was great! Everything was nice and the location was perfect. Only thing that would have made it a little better- air conditioning. Fantastic! We were stranded due to road closures after heavy rain and they made us feel at home and comfortable and safe and informed. Definitely recommend!!! Have dinner at Alice May restaurant nearby!!! This hotel is clean and comfortable with a very convenient location. Would definitely stay here again. 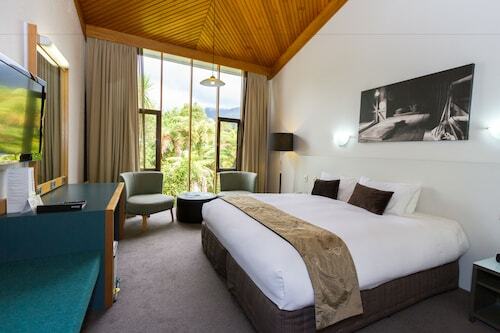 On the plus side, the Heartland Hotel Glacier Country in Fox Glacier Village seems to have been recently refurbished throughout, and our rooms were nicely appointed and very comfortable. We had a refrigerator and hot water kettle in the room, so we could prepare our own cold breakfasts (no microwave); we asked for dishes/silverware at the desk. The hotel does have a restaurant and bar, although we did not dine there. The hotel is conveniently located along and set back from the main street. There are several cafe style restaurants, a well-stocked small market, and a gas station in town, which is basically just two blocks long. On the negative side, the rooms can be noisy, and the hotel was overrun with poor-behaved daily tour bus groups. To their credit, the hotel moved us to a quieter room for the 2nd night when we asked. Be sure you ask for a 2nd floor room to avoid creaking ceilings, and ask for a room on a side wing to avoid the noise from the street and hostel behind the hotel. We would recommend the Heartland Hotel Glacier Country, with our room location caveats. We only spent one night here but wish we had planned for more - next time. We arrived at night in winter so could only be impressed by the interior initially - very clean, modern, and new. 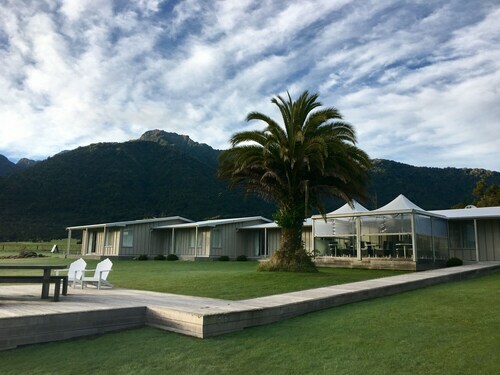 However, when we awoke the next day we were awe struck by the setting adjacent to a tree fern forest with snowy peaks looming behind. The staff was very cooperative and helpful with recommendations for excursions (we did the hike up to the glacier - a "must do" if you're only there a short time). They also recommended a good place to eat - The Landing, where we had a delicious and filling hot breakfast before our hike. We would definitely choose this location again.